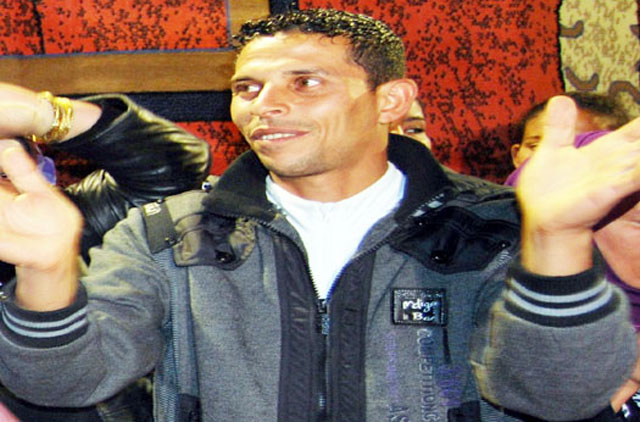 Manama: Mohammad Bouazizi, the Tunisian man whose suicide attempt sparked unprecedented clashes in the Northern African country's modern history, is in stable condition, a local daily said on Friday. According to Assabah, doctors at the hospital where Mohammad is being treated said there were positive prognostic factors and that his condition was improving. Mohammad on December 17 set himself ablaze in Sidi Bouzid, a town in central Tunisia, after a woman municipality agent confiscated the weighing scales he was using to sell fruits and vegetables off a cart and slapped him, a highly humiliating act in the Arab world. Samia Bouazizi, Mohammad's sister, told the daily that her brother was the breadwinner of the family and sold fruits and vegetables on a cart that he moved around the largely rural landlocked town. "My brother is 26 years old and did not succeed in getting the high school diploma, so he took up selling fruits and vegetables in order to make some money for himself and the family," Samia said. "On December 17, he left home and went about his small business, selling fruits and vegetables when a municipality agent, a woman, put pressure on him on the grounds that he did not have a licence. Our uncle, who was at the scene, stepped in and calmed the situation. Unfortunately, the woman came back later and insisted on a TD 10 ($6.86) fine. The standoff degenerated and she confiscated the weighing scales, slapped him on the face and threw away the fruits and vegetables he was selling," Samia told Assabah, an independent daily as it carried a field investigation of the incident. Mohammad did not accept the public humiliation and went to the local governorate building to report the incident. However, he was barred from entering and nobody wanted to listen to his plight, the sister said. "He became hysterical and in a highly deplorable act of hopelessness, went to the nearest petrol station, bought some gasoline, poured it on his body and set himself ablaze," Samia said. The sister said that people panicked when they saw the human torch and one of them splashed water on her brother, an act that worsened his condition. "There was no fire extinguisher around. People waited until the ambulance came to take him to hospital. It was horrible. His whole body, from head to toe, was burned by the fire." Mohammad, known locally as Basboosa, was transferred to a bigger hospital in Sfax, Tunisia's second largest city, 120 kilometres to the east, and afterwards to a specialised burns hospital in the capital, 270 kilometres to the north, where he is being treated. "Our mother is now with him in the Ben Arous Hospital and we are constantly praying for him," she said. Mannoubia, the mother, said that she was in an olive grove when she was told about the tragedy. "The doctors told me that he should be fine, and I keep praying. I am burning inside and I hope that he will recover. He is our breadwinner and has been working since his early age to help us," she said, quoted by the paper. "The municipality agent was bad with him, confiscating his weighing scale and overturning his fruit and vegetables cart. I am confident that the authorities will uphold my son's rights," she said. 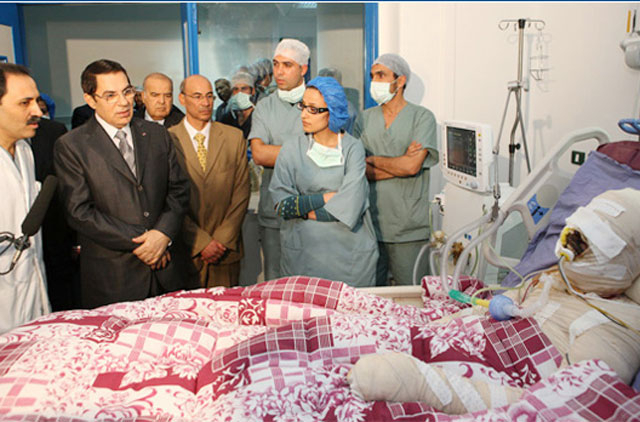 Receiving Mannoubia, President Zine El Abidine Ben Ali, who visited Mohammad at the hospital, comforted her and expressed his keenness to ensure adequate social conditions for her family, the official news agency said.